At "The New Yorker", Alex Ross imagines "what if" Wagner had acted on his thoughts of moving to the USA. Highly recommended. The first in a short series of posts commemorating Wagner’s two-hundredth birthday, which falls on May 22nd. Above is the title page of Wagner’s “Grosser Festmarsch,” also known as the “American Centennial March,” commissioned for the celebrations of 1876. In his last years, Richard Wagner often spoke of immigrating to America. The composer had enthusiastically greeted the founding of the German Empire in 1871, but in the following decade, as Bismarck and the Kaiser failed to provide funds for his nascent festival at Bayreuth, his chauvinism waned, and he entertained the idea of escaping to the New World. Cosima Wagner, his second wife, wrote in her diary in 1880: “Again and again he keeps coming back to America, says it is the only place on the whole map which he can gaze upon with any pleasure: ‘What the Greeks were among the peoples of this earth, this continent is among its countries.’” In consultation with Newell Jenkins, an American dentist who had become a family friend, Wagner drew up a plan whereby American supporters would raise a million dollars to resettle the composer and his family in a “favorable climate”; in return, America would receive proceeds from “Parsifal,” his opera-in-progress, and all other future work. “Thus would America have bought me from Europe for all time,” Wagner wrote. The pleasant climate he had in mind was, surprisingly, Minnesota. During his tempestuous life, Wagner lived in many cities across the Continent, leaving an indelible imprint on all of them. 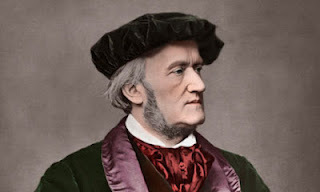 In Leipzig, Dresden, Paris, Zurich, Lucerne, Vienna, Munich, and Venice, among other places, you can go on Wagner walking tours, seeing the houses where he lived, the halls where he conducted, and the meeting-places where he held forth. In recent weeks, as a kind of thought-experiment, I have been following ghost tracks of Wagner in New York, a city that he never saw and probably would have hated. 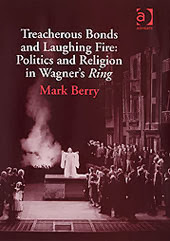 A case of authorial obsession is to blame for this peculiar undertaking: I am working on a book called “Wagnerism: Art in the Shadow of Music,” an account of Wagner’s cultural impact. To be candid, the itinerary is often pretty dull, but it picks up interest toward the end, as traces emerge of hidden links between the Rockefellers and the Holy Grail. Continue Reading: The New Yorker.